Civilmart BCP manufactures and supplies precast concrete products to the Civil, Mining and Construction industries. 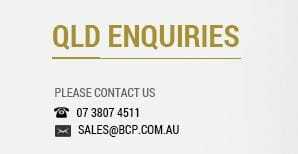 Civilmart BCP has the most comprehensive range of standard precast concrete pits, kerb entry units, pipe headwalls and box culverts available anywhere today. The range of products covers all plumbing,civil and construction drainage needs and includes Cast Iron covers and Galvanised grates to suit. Check our full range of Trade Waste and Grease trap units along with complete sewerage precast systems available in our NSW opertaions. With plants in Moorebank Sydney, Stapylton Queensland, and Warnervale NSW, BCP supply Major Projects with culverts and wing walls to RMS and QDMR specification throughout NSW and Queensland.